We also talk about his two early career goals (riverboat gambler or Captain Blood), what brings him back to Readercon each year, and why he’s never read Portrait of a Lady but fell in love with Lud-in-the-Mist, a fantasy novel in which the protagonists are middle-aged. 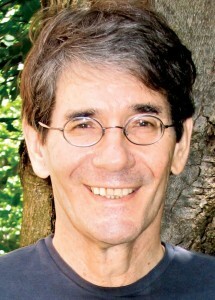 Michael Dirda is a weekly book columnist for The Washington Post, and he received the 1993 Pulitzer Prize for criticism. He is the author of the memoir, An Open Book , and of four collections of essays: Readings , Bound to Please , Book by Book , and Classics for Pleasure . His most recent book, On Conan Doyle , received a 2012 Edgar Award for best critical/biographical work of the year. Mr. Dirda graduated with Highest Honors in English from Oberlin College and earned a Ph.D. in comparative literature (medieval studies and European romanticism) from Cornell University. He is a contributor to The New York Review of Books, The Times Literary Supplement, the online Barnes & Noble Review, The American Scholar, and several other periodicals, as well as a frequent lecturer and an occasional college teacher. Credits: This episode’s music is A Soldier’s Tale by The Good, The Bad & The Queen (see, because The Good Soldier , by Ford Madox Ford, is one of Dirda’s favorite novels, and — oh, never mind). The conversation was recorded at the Marriott in Burlington Mass on a pair of Blue enCORE 200 microphones feeding into a Zoom H4n recorder. The intro and outro were recorded on Blue Yeti USB Microphone . Processing was done in Audacity and Garage Band. Photo of Mr. Dirda by me.